Kids in general are really fond of creative work and always need an opportunity to put their hands in colours. These rangoli designs for kids can be a little difficult for the tiny ones; however, there are a few patterns which they might find it easy and enjoyable too. It will not turn out to be messy and will also be easy to clean up the place. Here we have given list of most attracting easy and simple rangoli designs for kids. The design given above is one of the easy ways to make rangoli. 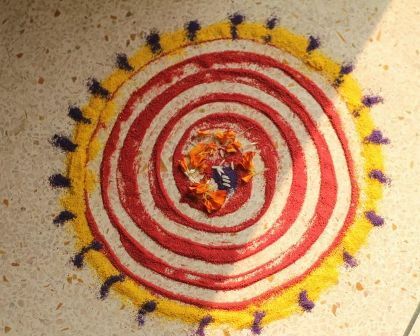 One just has to spread the rangoli powder on the floor and then create spiral pattern by using the finger, the extra bit of the powder can be removed. 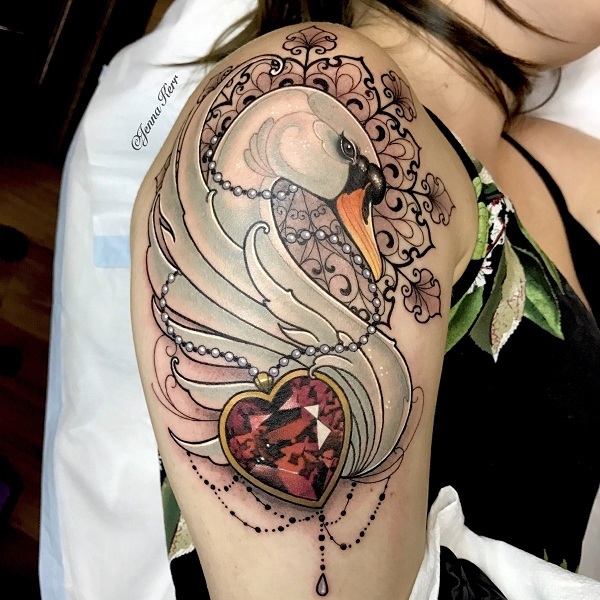 Little decoration in the edge and in center will make it look absolutely complete. 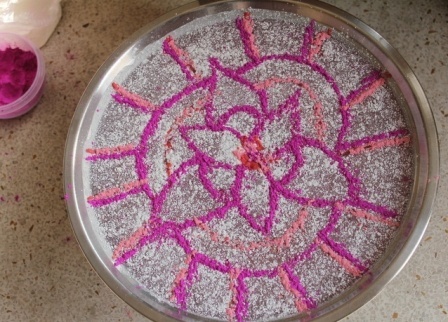 Such an easy rangoli pattern will definitely make the young ones enjoy this task. Rangoli designs can also be made by using pulses. 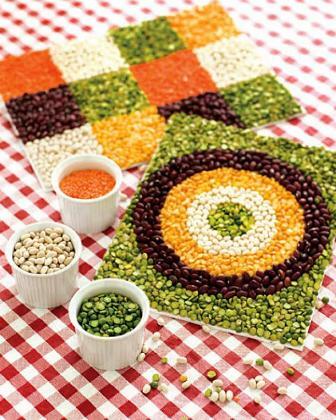 Different kinds of pulses of various shades will not only make the pattern look beautiful but will also create a sense of excitement among the kids. 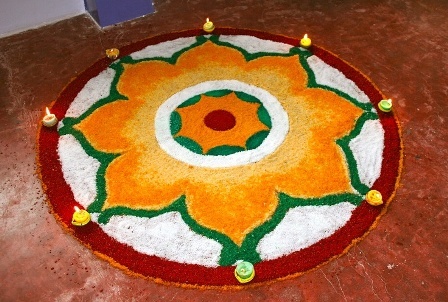 Small pieces of cardboard can be used to make the rangoli and then can be placed on the ground. This kid rangoli design gives a very organic look. Simple patterns can be made by using play dough. Children have always been fond of using play dough to create shapes of various kinds. Therefore, the idea of creating an entire rangoli out of lay dough adds a lot more thrill to it. It not only makes it look colorful but also adds a 3-d effect and also easy to clean up the space. The dough one used can also be reused for future purposes. This is one of the simple rangoli designs with dots for kids. Colored rice is available in most of the local stores and can also be easily made at home. One just needs to add paints to the rice, mix it well and let it dry for sometime. This kind of rangoli however turn out to be a little messy with kids, however, creating patterns in small plates can solve the problem. Cleaning up the space is not a thing to worry about and kids too remain clean. This is an extremely innovative idea to create a rangoli design for kids. Kids are definitely going to love playing around with foil. 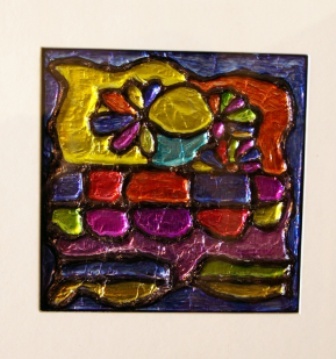 One has to create shapes by using colored foils and then paste it on a cardboard with the help of glue. This not only keeps the floor clean but also makes the rangoli look very bright and shiny. Dry flowers or artificial flowers can be used to create rangoli patterns. Kids are generally inpatient; therefore, this kind of rangoli will make them complete their task quickly. It will also be a 2 minute job to clean up the place. A diya or a small candle can be used in order to make it bright and fancy. 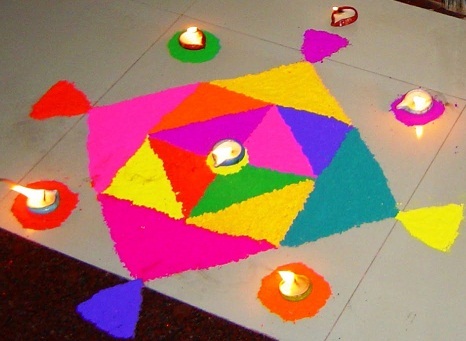 Simple usage of colored rangoli powder can also be done to create a pattern. Designs can be made on small circular plates and then be placed on the floor. The background of the plate can be filled by using glitters. This will give it a jazzy look and will also fascinate the child. The main trick of this rangoli is the huge size. 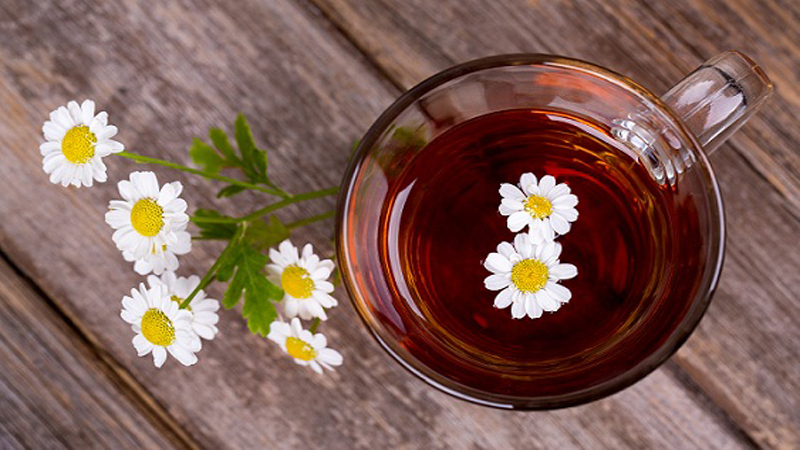 The bigger the size, the easier it becomes for the child to fill up the space. 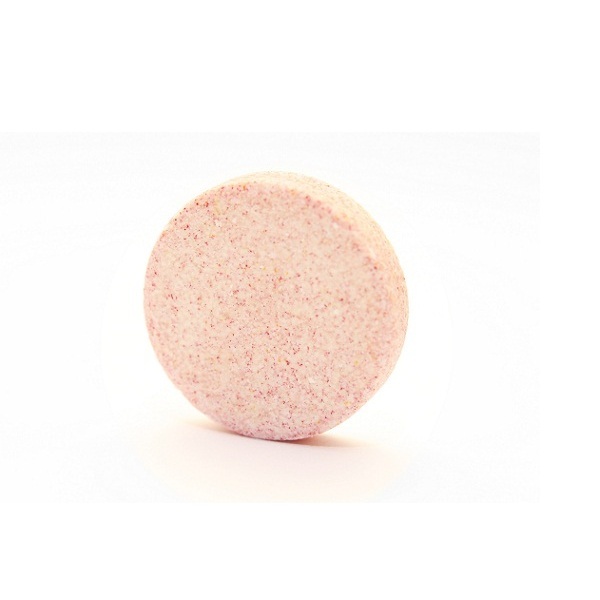 Usage of single colored powder can be the best way to make them. This can however create a little mess. The end result of this kind of rangoli is marvelous and gives a boost to the child’s capability. 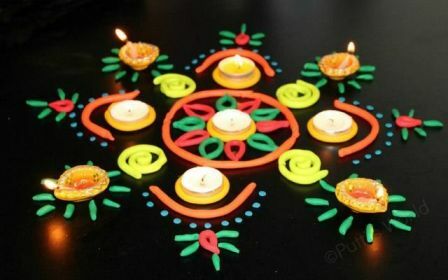 Diyas can be placed on the border to make it look better and traditional. This is one of the simple rangoli designs to participate in competition for kids. Children are really fond of coloring and playing around with chalks is also one of their favorite pass time. 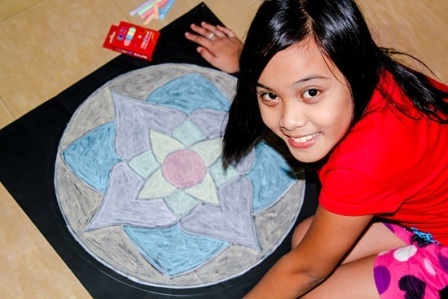 Therefore, making rangolis with chalks is the task they would love to do. They get the opportunity to use their favorite colored chalk and create a pattern. The pattern can be either made on a black chart paper or directly on the floor. Scribbling with chalks will definitely make the kids happy. 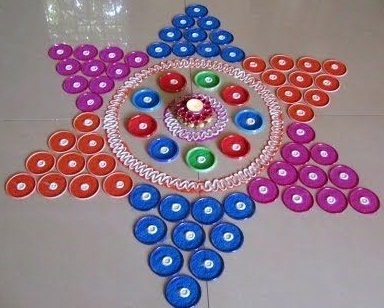 Compact discs (CD s) which are of no use can be used to make rangolis. 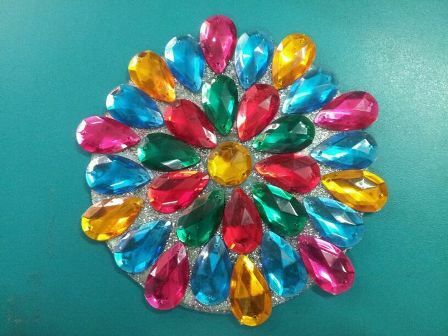 One creates a pattern by sticking colored stones with the help of glue. This will fulfill the child’s desire to use the glue and do some craft work. At the same time this handy rangoli can be placed anywhere. The background can be filled by using glitter powder or paints. Kids love to play with shades of colors and shapes. After all these are the first things they learn from their very early lessons from school. Even playhouse and kinder garden kids know shapes and colors. A very simple easy shape simple rangoli for children can be made for small children by drawing out shapes and filling the same with different colors in it. Decorated with Diwali diyas around the rangoli brings light to the rangoli pleasing the kids with the pride of making rangoli all over by themselves. A diya is a most simple image to draw for kids. For festive seasons like Diwali, a diya can be easy for little champs to draw and color to lighten up the Diwali with their own made rangoli. 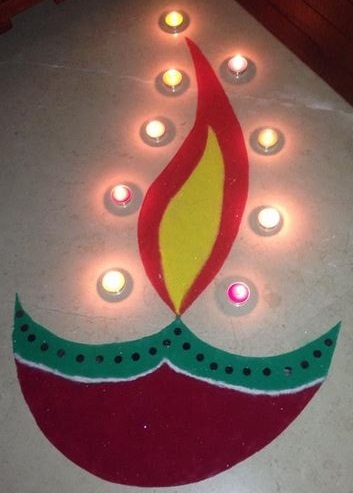 We can even say Diya design is the best Diwali rangoli for small kids to make. A simple ‘W’ and a connective wide ‘U’ below makes the bowl of the diya and a flame on the top completes the full image of the rangoli. 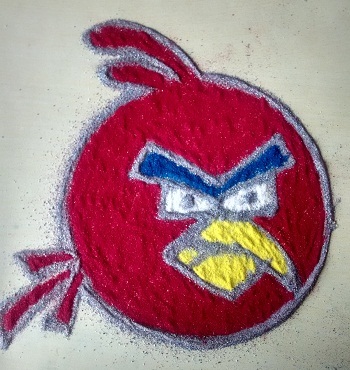 A simple and fun loving rangoli for kids is an angry bird. A photo for the rangoli design for the kids of an angry bird in front of the child can help him make the rangoli easier. A proper round shape for the face and few splits for its hair from the top and left side can make the child draw an angry bird easily. Simply coloring it red and similarly respected colors for eyes and beak brings out an amazing kids loving rongoli design. Dots make it easy for kids to get together the points and make a complete pattern of rangoli for themselves. We also get a chart of number of dots made easily from the shops. A child can make dots with the help of the chart and then easily join dots to make a rangoli design. Likewise a dotted rangoli design for kids proves to be very easy for them to make beautiful designs. Children love to participate in competitions and even feel happy when they prove themselves in making effective work. Rangoli designs for competitions for kids can be held with various simple designs that can be done by kids very easily. One more very beautiful design of rangoli can beat the competition if a proper guidance is provided to kids prior the competition. Bangle can be placed in a particular shape and can be filled with rangoli colors to form a design. Then the entire rangoli design gets a perfection of round shape as well as a distinct design among other cute designs made by children. Easy and fun loving ideas also help much the children to create beautiful designs. And sometimes great work also gets to know from small minds. Rangoli can be considered one of the favorite for the small kids as the art is full of colors and powders on their hand making them play full with what they always want. 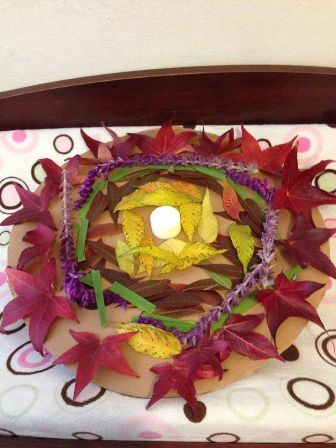 Children can also make rangoli’s with flowers. A task of picking different color flower petals and bring them together drying them and making a beautiful rangoli out of that makes them get engaged to art work. Color pencil scrap also helps them make beautiful rangoli if they are instructed well. 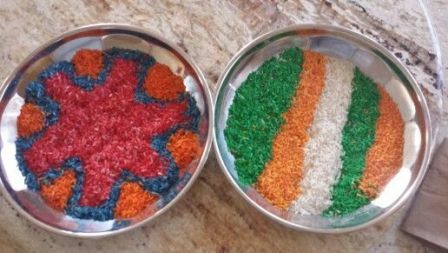 While different grain of different colors are also used to make rangoli’s and in a way also helps kids remember names of grains used. When talking about creativity and kids, the boundaries of imagination have no limits. A proper guidance and a prior practice make the children perfect with their work. 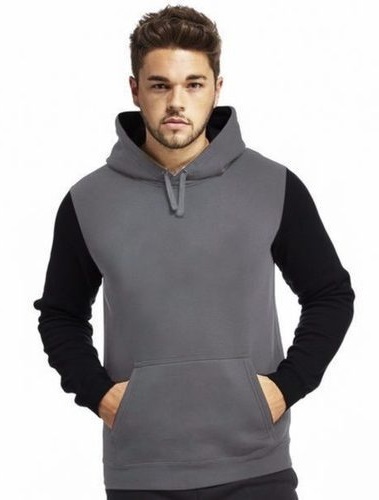 it’s realy good, i will try to learn to my chiledrens……………..